In the real world, nothing ever gets built exactly the way you expect it to get built, primarily because of human factors and organizational dynamics. We're often too quick to apply blame, without digging deep enough to gain insights from the underlying causes. Many organizations focus on their failures in operations or engineering, which is no surprise—failures make great stories and can rally a tribe through shared experiences (read: misery). In this webcast, John Allspaw presents a new way of assessing success and failure. He explains how organizations can become more successful by studying their successes and demonstrates how we can all become more effective by examining our assumptions. If you have been frustrated by a lack of ability to move forward, either in your team or organization as a whole, Allspaw will help you to see the causes in an entirely new way. 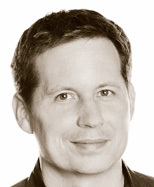 John Allspaw is the SVP of Infrastructure and Operations at Etsy. For over 17 years, he has worked in system operations in the biotech, government and online media industries. John is the author of The Art of Capacity Planning and Web Operations: Keeping the Data On Time, both published by O'Reilly Media. He holds a BS from the University of Massachusetts, Amherst, and an MSC from Lund University.